Miami in Florida is located on the southeast tip of Florida. Miami is best known for its sunny weather, golden beaches and lively nightlife. 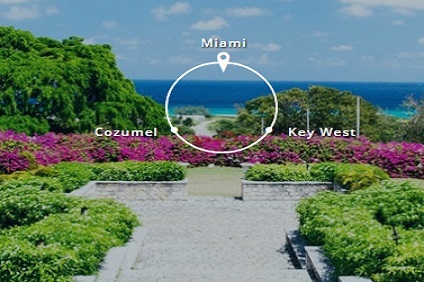 Also known as the 'Gateway to the Americas', the 15 miles of glorious beaches make Miami popular with all ages, attracting a broad spectrum of tourists. Tourist attractions include Miami's Miracle Mile - one of Miami's major shopping regions, the Miami Freedom Tower, Miami Metrozoo - one of the finest wild animal parks in America and the Miami Seaquarium - a 38-acre complex of huge saltwater pools. Miami has a range of communities and districts, amongst them is Downtown Miami, a vibrant and diverse area of Miami, filled with clothes and jewelry shops, restaurants, cafés and fast-food stands. Miami South Beach Area (SoBe) is one of Miami's most exciting areas and is full of art galleries, stylish diners, Art Deco buildings, glorious beaches and many of Miami's top nightclubs. Port Location – The Port of Miami is on Port Boulevard, Dodge Island which lies between downtown Miami and Miami beach. It is approximately two kilometers to either. Transport Links – Miami is served by one of Florida's largest and most important airports, Miami International Airport. Miami has a well-integrated public transport network of buses, trains and a monorail run by the Metro-Dade Transit, covering Miami and making travel in Miami easy and inexpensive. It is easy to get around Miami on foot or rental cars and taxis are available. 4 Night Cruise sailing from Miami roundtrip aboard Carnival Victory. 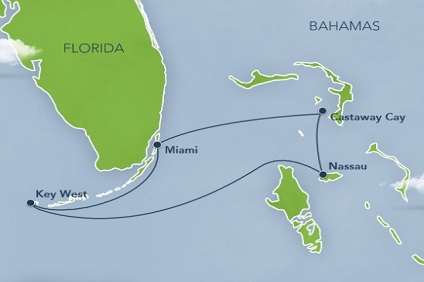 4 Night Cruise sailing from Miami roundtrip aboard Mariner of the Seas. 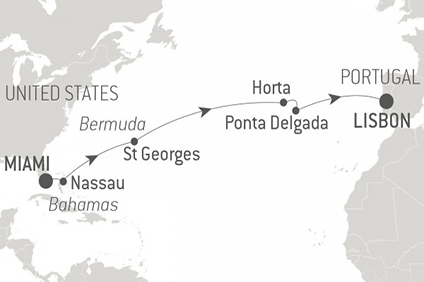 14 Night Cruise sailing from Miami to Lisbon aboard Le Boreal. 14 Night Cruise sailing from Miami roundtrip aboard MSC Armonia. 5 Night cruise departing roundtrip from Miami onboard Carnival Sensation. 4 Night Cruise sailing from Miami roundtrip aboard Disney Magic.